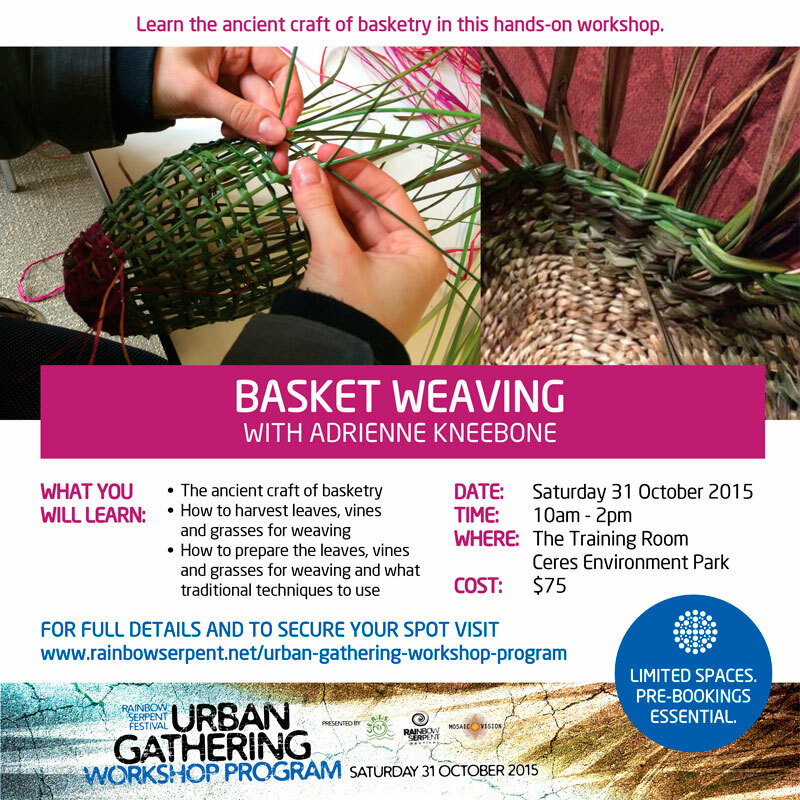 In this hands-on workshop you will learn the ancient craft of basketry. You will learn how to harvest leaves, vines and grasses for weaving, how to prepare them and what traditional techniques to use. Gathering natural fibres from the CERES park and make your own unique creation. At the end of the day you will take home your own hand woven beautiful and functional basket/work of art. Interwoven in this workshop are the principles and ethics of permaculture. Teacher Bio : Adrienne Kneebone spent 12 years in the Northern Territory mastery the craft of weaving as well as working extensively with women from Western Arhnem land. She has a lot of skills, knowledge and story telling to share and finds enjoyment in the atmosphere of a weaving group. Her skills range from basket twining, to native grass cobbling through to bush toy making. She now resides by the Yarra River in East Warburton where she has adapted to weaving with the local plant material. Her classes are light hearted and enjoyable as she draws the creative spirit from people.